If you’re busy overthinking what colors you’re going to use on your next interior paint project, we’re here to help. Beyond the magic of Pinterest, and its occasionally, sometimes questionable style advice, there are actually multiple sources to help you figure out what colors go well together. Smart paint manufacturers like Behr don’t mess around by merely aligning a variety off of the same color together. They’ve created palettes that you can mix and match to find new and better combinations to fit your needs. In this guide, we’ll help you explore those color options and how exactly you should attempt to execute these to create a space that looks polished while also looking cozy and lived in, unlike those modeled photos on the modeling site. In general, you’ll be able to find a whole slew of color palettes that are based on moods, as if we were talking about watercolor paintings instead of what you’re going to plaster on your walls. If you choose your colors based off a mood, and you specifically choose to calm relaxing hues, we have a variety of suggestions to help you navigate the color palettes that will be suggested to you when initially shopping around. Specifically, we like the blues. They’re trendy, as long as they’re not the vibrant blue of a Hollister hoodie, and they’re easy to match up with things because if you get the right hue, you’ll be closer to a neutral than a hard-to-match pastel. Everyone loves the ultra-modern nearly neutral versions of various pastels, like rose-gold that looks closer to a neutral peach, teals that look closer to greys and, of course, everyone’s favorite: greige. The key to a modern painted interior that’s calming is to provide just enough interest without overwhelming the whole room. The best way to turn down what you might think is a risky color is with actual neutrals, so pick out your pseudo pastel like a polished, matte aqua or a creamy, eggshell finished yellow with white tones to cool it down and then find a version of grey that will bring it all back to baseline. If you’re worried about not incorporating the neutral enough to control the more risky color, chat with us. We can paint your baseboards with the neutral, all the door frames and doors with it, or we can just paint the ceiling with that same neutral to open up the top of the room while controlling the stunning nature of your other color. If you do decide to paint your ceiling, we’d caution you to choose a darker color, while it doesn’t have to be caviar black, we would recommend that you have a darker neutral tone or else the middle range hue might make the room seem lower and the entire space feels smaller. We love peach and coral and even bold crimson. Any color with warm tones will be able to warm up the room nearly immediately. This pairs favorably with all of that white subway tile that captured your heart and coaxed you into re-doing your backsplash as well as the marble countertops that you will eventually invest in. Warm tones are, in our opinion, much easier to work within a collection of colors. Most folks shy away from warm tones because they need to be tempered with cold toned neutrals but that’s the case with anything. You wouldn’t think that pairing a warm, brown leather couch with orange detailing. That wouldn’t be edgy it would just be puke inducing. If you don’t overthink color pairings they’re really simple. Keep everything in context, and you’ll realize that the spicy hue by the name of “Chili Pepper” is totally within your reach. 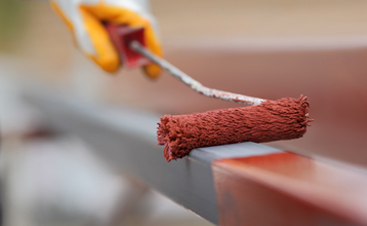 While you can’t pair it with another vibrant warm color, you can pair it with a buttery brown color for your door frames. You can even pair it with silver accents on your door handles. We like to balance daring reds with beautiful, subdued beige colors and cozy dark Mediterranean tones. We would caution that a color that has lots of power and is totally saturated might feel odd inside a room that is on the smaller side. Don’t get creative. If your room can’t support plants in it, we recommend avoiding that gunmetal grey tone and going for the dove grey instead. You’ll need to be able to manipulate the architecture of your room to make it feel much bigger. You can do some riskier things with your ceiling and your walls, but your baseboards and door frames are off limits. We recommend cool, controlled and contrasting whites. Keeping it simple here, will allow you to open up your interior painting imagination in other respects for the walls, which if the bigger, better canvas. Try an accent wall first, and then expanding your options to a painted ceiling. In rooms with less natural lighting, it might be best to try painting the walls a cool, hardly noticeable color and your ceilings something dramatic so that you can ultimately control the aesthetic of your home. 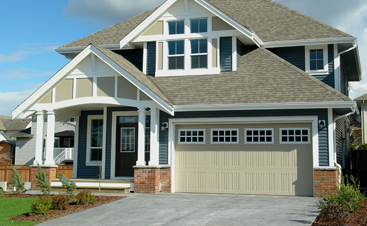 When you’ve determined what interior painting colors you’re ready to proceed with, contact us. 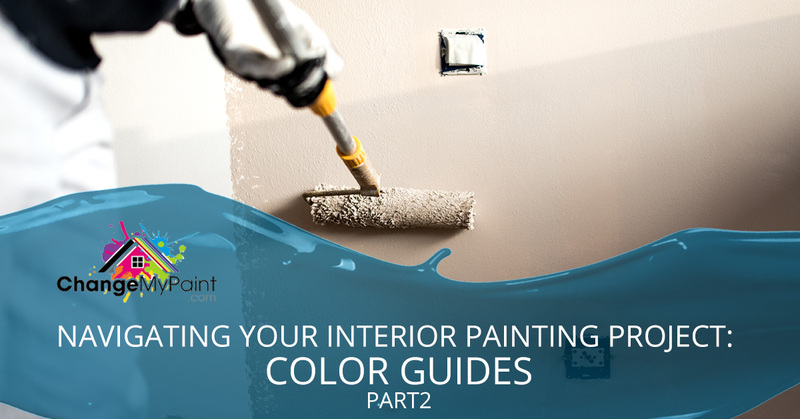 If you’re still undecided about how to proceed with your interior painting project, we can help. We have a variety of color experts who can assist you based off of your exact space and your personality. Schedule your appointment today.